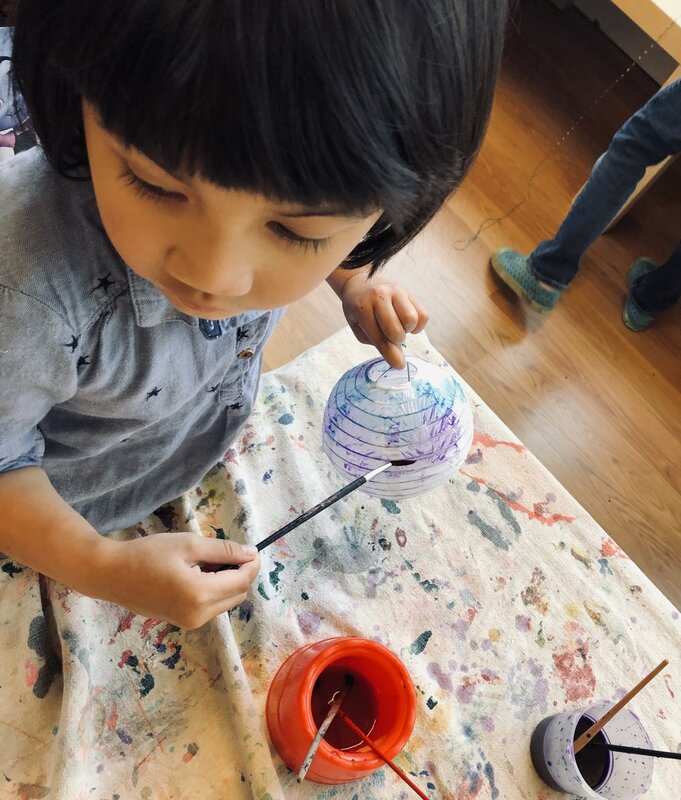 2019 Summer Camps at Art Beast Studio on K Street! Summer Camp @ Art Beast-2019 Schedule Coming March 1st! See full camp descriptions and details here. Session Times: 9am to 2pm. Ages 4-7, limited space. The camp day will offer both directed activities and free play. Pricing: $200 a week. Additional siblings enrolled the same week receive a 15% discount. $75 non-refundable deposit to reserve a space (register in person, on the phone or by filling out the registration form on our website). Please Bring: Lunch, snack, and a bottle of water. Wear clothes that can get messy! Our camps are about exploring art and self-expression. Children dig into an array of mediums and arts in their own way. No matter the theme, we promise arts integration with movement, song, story, and art. Each week children will have the opportunity to create a custom t-shirt and a weekly journal of their experience. *New this Year: We are starting an aftercare program to extend the hours of camp up to two hours later. Pick-up is by 4pm and costs and additional $120 each week (sibling discount available). Must sign up for this in advance, limited space. And, as always, when you choose Art Beast, you support Waking the Village’s communities for young, homeless parents and their children at Tubman House and Audre’s Emporium of New Tomorrows. In 2016, Art Beast generated over $50,000 to sustain Tubman’s child development program for children experiencing homelessness. Leslie is a mother, artist and children’s librarian with a passion for bringing stories to life through art and encouraging families to get messy! Leslie has a MLIS and over 15 years of experience working with children and families. Leslie has been a lifelong lover of the arts who has dabbled in many mediums and has her own shop on Etsy called ArtsyMommas. She's taught classes at Art Beast since 2012 and coordinates our classes and outreach activities. Leslie says she loves sharing stories and songs with children and finding playful ways to use art and movement to build confidence and creativity in people of all ages. Eva started working at Art Beast in 2018 and is a student at Sacramento State. She is studying for her Bachelors in percussion performance and wishes to continue her education by applying for the credential program after her graduation. She has previously taught drum circle here at Artbeast and also assisted in camps in the past year. Eva is excited to continue camps this summer! 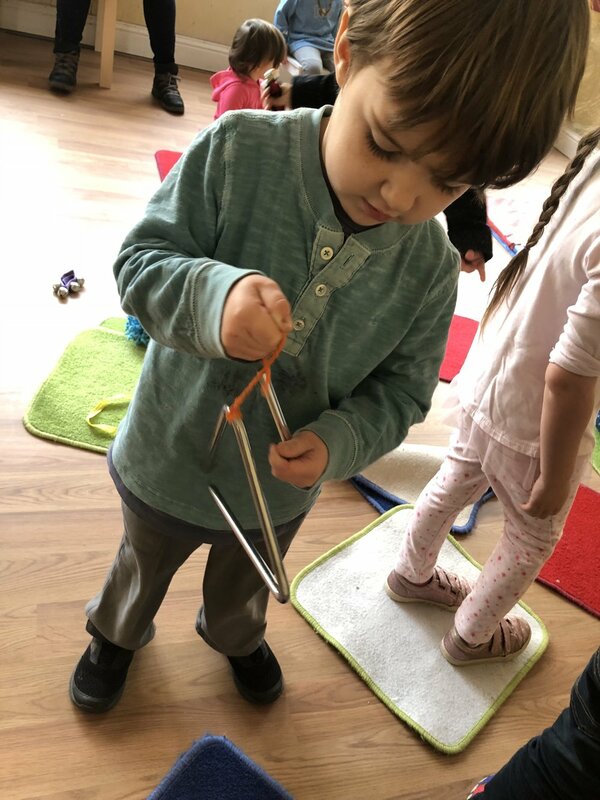 Ariana is a musician and mother and has been a music educator for over 20 years, teaching music and movement classes and piano lessons to students of all ages. She studied classical piano performance at UC Santa Barbara and has specialized training in early childhood education and early childhood music. She has been teaching classes at Art Beast since 2017 as well as working at a local elementary school. Ariana brings a warm, welcoming vibe to all that she does and she brings the joy of music to children in a playful and highly engaging way. Andrew has been an Art Beast coach and teacher since 2012 and is now the Co-Assistant Director. He studied Fine Arts, graduated from CSUS with a minor in Apparel Marketing and Design. Andrew has done nearly EVERYTHING at Art Beast from keeping the center tidy to managing the piles of paperwork at the front desk, from teaching camps and classes to providing excellent customer service to visitors. Andrew’s gentle spirit, constant smile, and his love of all things Super Hero has made him a favorite among staff and families alike at Art Beast. Nancy is a student at Sac State, a drum line instructor at a local high school, AND she is the Co-Assistant Director at Art Beast. She has worked and taught several music and art classes at Art Beast since 2013. As an avid creator, she is also the designer of the many whimsical creatures and scenes that fill our front windows and studio. Whatever her pursuit, Nancy brings much originality and fun into the experience of her classes and camps. Bryna is a mother and a crafter with loads of experience working with young children. She has wrangled groups of them since she was 11 years old and spent 2 years assisting in a public Waldorf kinder classroom. She has been a teacher at Art Beast since 2016, mainly co-teaching with Ms. Leslie for our drop off program, Club Beast. Bryna's strong, calm and compassionate approach to interacting with children has endeared her to parents and children alike. NEW in 2019 for Families! Come and enjoy some Art Beast inspired quality family time with us! 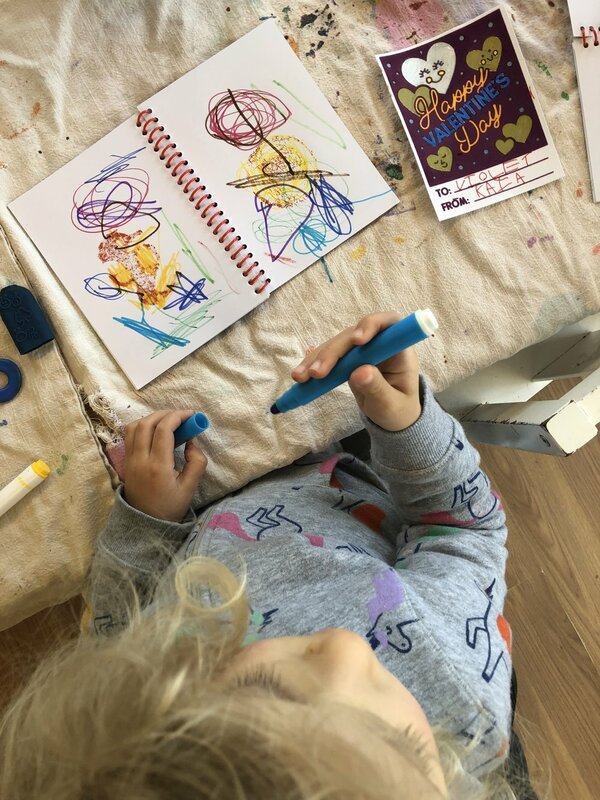 Our goal is to create a regular space for families to create and spend time together and to thank our members and visitors for their support of Art Beast and Waking the Village. Family Night will feature activities and fun for all ages and even adults are encouraged to participate! We will have a handwork circle where you can bring in your own knitting or crochet projects to work on with friends (please email Leslie at artbeaststudio@gmail.com if you can help lead the circle once or regularly) and thematic activities and projects designed for various ages. Family Night is not a drop off program, caregivers must remain on premises and supervise children at all times. Make sure to regularly check our blog, social media, and newsletters to find out what Family Night activities are planned for each month and what day and time it will be held. This event is free for members and will feature a special admission rate for non members after 3 pm on the day of each event. To find out more about becoming a member of our Art Beast family, check out our membership options. Our January activity will be felting with Ms Leslie. *Free for Members! Special reduced admission for all others after 3 pm on Family nights. Handwork Club & Self Directed Drawing/Writing Station-Bring your own projects and work on them here with friends. No instruction or materials provided for handwork, just a chance to craft together, ask questions, and get motivated! We will have writing and drawing materials on hand for self directed creative fun for all ages. Art, Science or Movement Activity-A different activity or project offered each event and designed for kids and caregivers to do together! Enjoy some Art Beast inspired quality family time! Please spread the word! Contact Leslie at artbeaststudio@gmail.com if you’d like to volunteer to help with Family Nights. I’d especially love to get volunteers to supervise the handwork circle and drawing/writing station and maybe to lead some projects or activities. It takes a village! *This event is free for our members and non-members pay a reduced fee after 3pm when attending Family Night. This event was created to thank our members for their ongoing support and to encourage more families to become a part of the Art Beast family. Current class session runs Jan-May. No drop offs or adults without children. We look forward to building our community of families! Our hosting teachers are donating their time, so if you’d like to show them a little extra appreciation we will have a donation/appreciation jar available in the classroom. NEW in 2019 - Later Evening Class Every Monday! Join us after school every Monday for a fun rotation of specialty classes designed especially for elementary aged kids (younger siblings welcome with caregiver assistance). 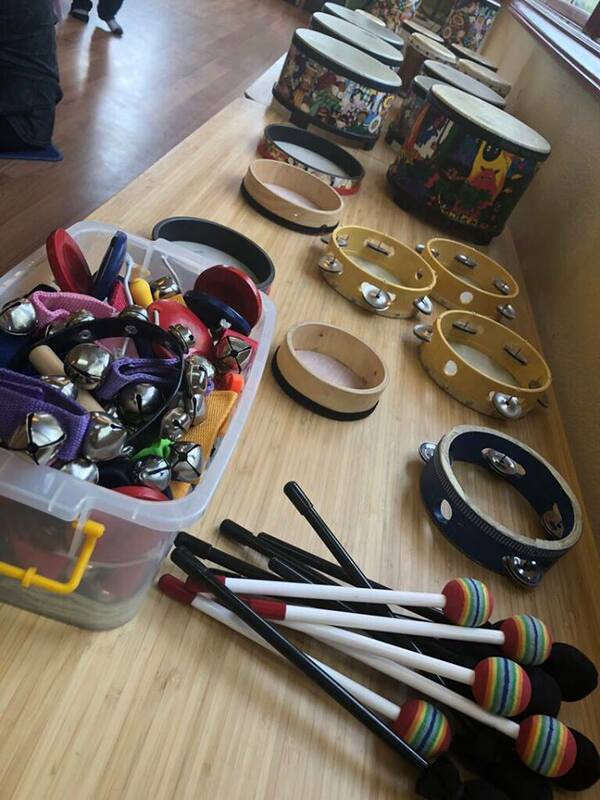 These sessions will feature different topics and teachers with a focus on music and movement. We’ll have dancing, hula hooping, drum circles, yoga, and more! To stay up to date on our Monday class rotation, follow us on Instagram and Facebook! You can also sign up for our monthly newsletter for more information (and special offers!). Classes are free with regular admission fees or a studio membership. April has 5 weeks so will have an additional class that last week-TBD! 2 hour special drop-off workshops for kids in December. See pricing, age ranges and project descriptions below and sign up for as many as you like! Join our Art Beast teachers for some special gift making workshops this holiday season, whatever you celebrate, we’ve got you covered! These 2 hour workshops will include all the materials needed to make a super cool, one-of-a-kind, creative gift for someone special AND supervised free time in the studio to play or create. The best part though- it’s drop off! You can leave to run errands or just relax at one of the coffee shops or restaurants nearby-a gift in itself! You must register and pay in advance to ensure a spot in workshops. Numbers are capped at a specific teacher/child ratio and all workshops are open to the general public and advertised on our website so sign up right away! You may call day of to see if there is still space available. In addition, if you’d like to stay at Art Beast and explore with any children not signed up for the workshop for the 2 hours it’s running (or if you want to bring your signed up child and other family in to play a couple hours before the start time of the workshop) you can pay the reduced rate of just $4.00 per person-that’s half price regular admission! Tuesday, Dec. 11 Ages 4-9, Jewelry & Key Chain Making-In this fun 2 hour workshop children will learn how to create unique jewelry designs including a tassel necklace, stretch bracelet and a key chain! Gift tag and card making buffet included. Monday, Dec. 17 Ages 7-12, Fabric Art & Wednesday, Dec. 19 Felting & Fabric Art with Leslie-In this two part workshop, we will create beautiful works of art using a couple fabric dyeing methods. *This workshop requires sign up for BOTH dates (17th & 19th) to complete our fabric projects, the fee listed here is for both sessions. On the 19th, we will do some felting projects (see below) once our fabric art is finished. During this workshop we will also visit the studio floor for free play and to create our own gift cards. Ideally, we will have 2-4 wrapped, handmade art gifts and personalized cards for giving by the end of the second session. Please have children dress appropriately as these materials do stain fabric. Wednesday, Dec. 19th Ages 7-12, Felting & (Fabric Art part 2 for those in both sessions) with Leslie-For those ONLY signed up for this workshop on the 19th, we will use needle felting techniques to make 1-3 handmade gifts. For those signed up for the 2 part Fabric Art workshop, we will spend this session finishing up our fabric projects and felting. We will also visit the studio floor for a little free play and to create handmade cards. Ideally, we will have 1-4 wrapped, handmade art gifts and personalized cards for giving by the end of this workshop. *The Fabric Art workshop is only for those signed up for BOTH sessions on the 17th & 19. Those signed up for only the 19th will just do felting. 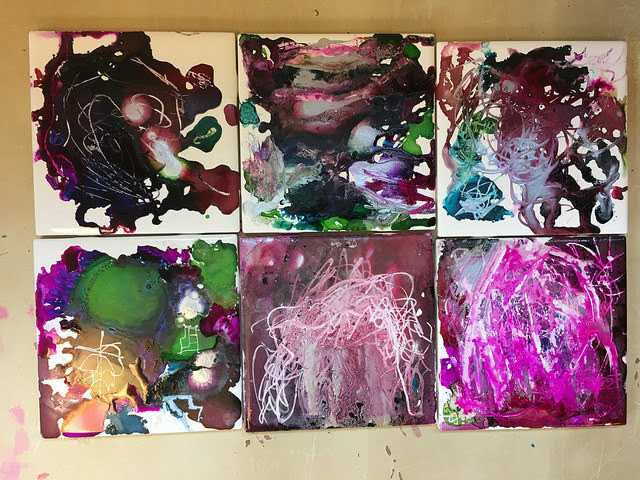 Thursday, Dec. 20th Ages 5-12, Alcohol Ink Tiles with Nancy-Children will create unique art pieces with alcohol inks on tile, play throughout the studio, and enjoy story time during the time they’re dropped off. Each child will be able to take three pieces home- one large and two small pieces to be gifted or housed as a set or individually. We will explore different techniques and tools to explore color, movement, and shape as we blow, scratch, tape, and drop ink. These inks do stain, both hands and fabrics, so please bring your child dressed appropriately. As always, we will do our best to help guide a fun, explorative, and individual experience and can’t guarantee a nice shirt will make it out unmarked. Prepare for fun! Register by visiting or calling the Art Beast Children's Studio 916-441-1233. Limited space. Holiday Book Fair with Usborne Books! Purchase great books & help families at Tubman & Art Beast Child Development Center get brand new books! Ms. Nancy, (The Art Beast Book Lady) will be hosting two 1-day Usborne book fairs in December! Stop by the Art Beast lobby on December 4th and 15th between 10-3pm for a full display of Usborne Books for sale! 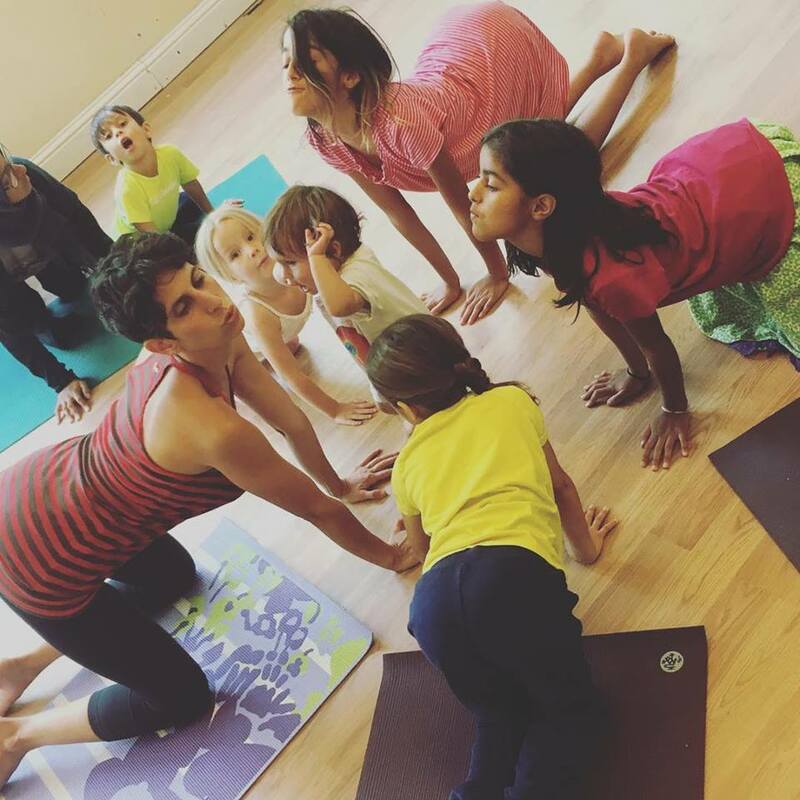 On Dec 4th Ms. Nancy will also be co-hosting our Teeny Tuesday class with Ms. Leslie from 10-10:30! She’ll be singing and dancing with us, as well as leading a fun craft and reading aloud a special Usborne book. For her Dec. 15th visit, shop and stay to catch pop-up songs and story times with Ms. Nancy and Art Beast staff throughout the fair! These sales help provide free books to the families at our residence programs. We appreciate any support by our community to help support our programs for young families facing homelessness. Join us December 4th for Teeny Tuesdays-Story & Art from 10-10:30 & Book Fair 10-3! *You may visit the book fair in our lobby for free but if you plan to stay and play at Art Beast, you must pay regular admission fee. Don’t miss this pop-up class where Mr. Jamal will be teaching hip hop inspired choreography and playing fun dance games. You’ll even get a chance to show off your own moves in a freestyle cypher circle! Great for all skill levels - caregivers included! Don’t miss this brand new offering at Art Beast! Discover the magic of hula hoops with your friends! Have fun learning the hoop basics & how to build on them. We will do engaging hoop stretches & learn moves that are based on the class & individual skill levels. At the end we will try to string it all together in a fun & simple routine! Great for all skill levels - including adults, but space & hoops will be limited so come early! Jillian is a hoop performer who supports herself as a Pre-K teacher in East Sacramento. She has been teaching for 8 years and teaching hoop lessons for almost 5 years. She teaches with the motto, "ANYONE can have fun with a hula hoop!" 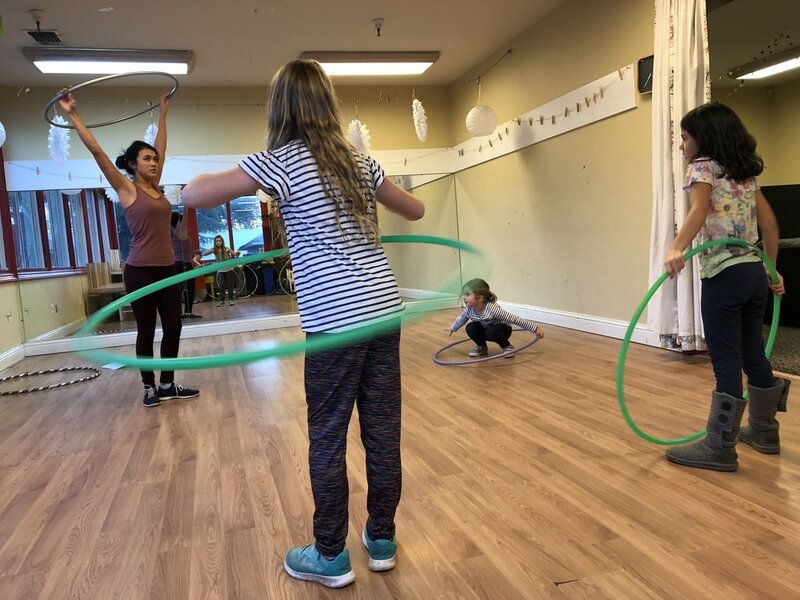 She began her own hoop journey nearly 7 years ago in Santa Cruz and has been learning and growing with her hoop ever since. She runs a small business called Traveling Mermaid Entertainment and hoops and face paints at parties, events, and festivals.